The aim of the UK Gambling Commission is to remove criminality from gaming and to protect vulnerable people, including children and vulnerable adults. They want to prevent gambling from being a source of crime, make sure the casino is run in a transparent and fair way. Who is the person applying for this casino license, how do they fit in to the casino structure and who ultimately owns the company. What is the applicants financial history like, and that of those who own and run the casino? Do they have the assets necessary to successfully run an online casino? Here they look at the trustworthiness of the applicant and anyone at the casino relevant to the application process. Are they honest and reliable? Does the applicant, and the people running the casino, have the necessary experience, knowledge, expertise and so on to be running an online casino? Does the applicant, or anyone relevant to the application have a criminal record? The casino then has to have a number of processes and procedures in place. For example, they must do all they can to prevent children under the age of 18 from using their service, usually done via a KYC check where all customers must provide an ID document proving their name and DOB. Casinos must also comply with Anti Money Laundering legislation by having procedures and processes in place to check customers’ information is correct and monitoring activity. This is also covered by KYC whereby players must prove their place of residence (usually with a utility bill) and verify any cards on the account belong to them (by providing a scanned copy). There are also closed loop policies in place whereby you must always withdraw at least the amount deposited to/from the same payment method before you can withdraw another way. For example, if you deposit €50 on your credit card and win €100 you have to withdraw at least €50 back to that card (to close the loop, thus removing any ‘cleaning’ for money laundering) before you can take the money out a different way (to another card, an e-wallet or via bank transfer). Registration is part of ensuring all players are over the age of 18 and not previously excluded from the casino (to protect problem gamblers) so basic information such as Name, Date of Birth and Address must always be part of the registration and this information must be verified during the KYC process. This is purely to help prevent children under the legal gambling age of 18 from being exposed to gambling, protecting admitted problem gamblers who have already requested exclusion from the casino and to prevent known fraudsters and/or criminals from making use of the gambling services. And an operator must have each specific license for each product they offer in the UK. So, if they offer casino and bingo they will need a casino operating license AND a bingo operating license. Protecting problem gamblers is a big part of the UK Gambling Commissions work. Each operator must have policies and procedures in place to protect gamblers and ensure it is always done responsibly. This can include limit settings on the account such as Deposit Limits (limiting how much you can put into the account within a set timeframe e.g I only wish to be able to deposit up to €20 in a week- no more) as well as exclusion options where a customer can close their account without the chance of reopening- either indefinitely, permanently or for a predetermined amount of time. 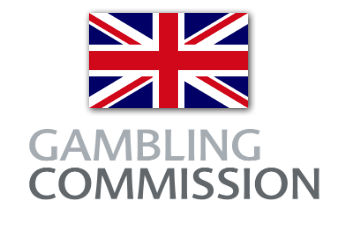 A player should only contact the UK Gambling Commission if they expect illegal activity at a casino (either by the casino or a player) or when all other channels have been exhausted. You should not contact the UK Gambling Commission to query the outcome of a bet or wager (there are independent bodies who can do this, if the casino does not assist you satisfactorily), if you want to close your account or if you need general assistance or to make a complaint about the casino that is not related to its licensing.